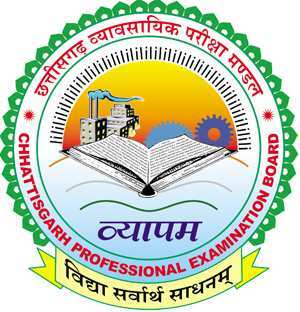 CG Vyapam BSc Nursing 2018 is conducted on the basis of the scores of the candidates in BSCN18 Entrance Test (... ) by Chhattisgarh Professional Examination Board for admission in BSc Nursing program offered by the Government and Private colleges in the Chhattisgarh State. The candidates without Chhattisgarh domicile are not eligible for the admission to Government BSc Nursing Colleges but Private BSc Nursing Colleges. The candidates who have passed in class 12 examination or equivalent with the subjects Physics, Chemistry and Biology are only eligible to apply. Application form can be submitted by 19 April 2018. There will be an entrance test BSCN 2018 for CG Vyapam BSc Nursing Admission 2018 which will be conducted on 17 May 2018 in various cities in the state. Latest Update: CG Vyapam BSc Nursing 2018 Result has been declared on 14 June 2018. The link to check the result is given below. CG Vyapam BSc Nursing 2018 Answer Key has been released today on 30 May 2018. The candidates can download CG Vyapam Answer key for BSc Nursing by following the link given below. CG Vyapam BSc Nursing 2018 Answer Key - Released! CG Vyapam BSc Nursing 2018 Result - Declared! Domicile: The candidates who are domicile of the state Chhattisgarh are only eligible to apply for CG Vyapam BSc Nursing 2018. Other state candidates can also apply but they can get admission in non-government institutes only. Educational Qualification: The candidates who are passed in class 12 examination or equivalent with the subjects Physics, Chemistry and Biology are only eligible to apply. The candidates who are appearing in the qualifying exam this year or waiting for final result are also eligible to apply. Age: The candidates must be aged at least 17 years old on 31 December 2018. There is no maximum age criterion for applying for CG Vyapam BSc Nursing 2018. The candidates have to first select an option for application form for CG Vyapam BSc Nursing. Now the candidates have to fill the application form by entering the details such as the name of the applicant, father’s name, mother’s name, date of birth, class 10 roll number, gender, category, height, weight, religion, marks obtain in class 10 and 12 examinations etc. 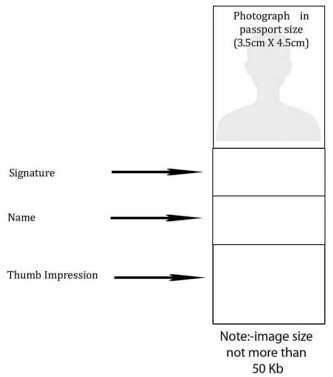 After filling the application form, the candidates have to upload required images like the scanned copy of the latest colour photograph, thumb impression, name and signature. The format of the mixed image should be in JPEG and the maximum size should be 50 kb & minimum size should be 40 kb. Now the candidates have to upload it in the space given in the application form. After filling the application form and uploading the mixed image, the candidates have to now submit the application form. Thereafter a new window will open having please confirm button there. Now the candidates have to preview all the information in the application form. Now the candidates have to make payment of the application fee using online mode. The candidates want to pay through online mode of payment can pay through credit card or debit card of any Indian Bank. CG Vyapam BSc Nursing Application form can be made only through online mode. The candidates can fill and submit an online application form here and also on the official website of CG Vyapam BSc Nursing. After submission of application form and making payment of the application form, the candidates have to check their application fee transaction status. The candidates who made successfully submission of the application have to take a print out of it and keep it safe for future references. The candidates who have successfully submitted an online application form for appearing in CG Vyapam BSc Nursing Entrance Exam are only eligible to download their examination Admit Card from 10 May 2018. The candidates can download their Admit Card by entering Registration ID number. The candidates will have to carry it to the examination centre. The candidates filling an online application form for CG Vyapam BSc Nursing entrance exam will have to make payment of the application fee as under. The payment can be made in online mode using Net Banking, Credit Card, or Debit card for BSCN18 Application Fee. The candidates will be selected for admission in BSc Nursing program offered by government or famous private colleges in Chhatisgarh on the basis of score secured in CG Vyapam BSc Nursing Entrance exam.Examination result will be declared by the examination conducting body at cgvyapam.choice.gov.in. The candidates can check their result using registration ID. A merit list will be prepared by following business examination committee and related department rules. The candidates cannot challenge the examination result and merit list because the answer paper examines through OMR machine. The candidates preparing for CG Vyapam BSc Nursing 2018 entrance exam must prepare for the test according to the syllabus. CG Vyapam BSc Nursing 2018 syllabus is given below. Candidates are advised to go through the syllabus carefully and plan accordinging for the entrance exam.